Bad guys never miss a chance to find the way to hack your information. The point is you must prepare from the smallest things to protect yourself. 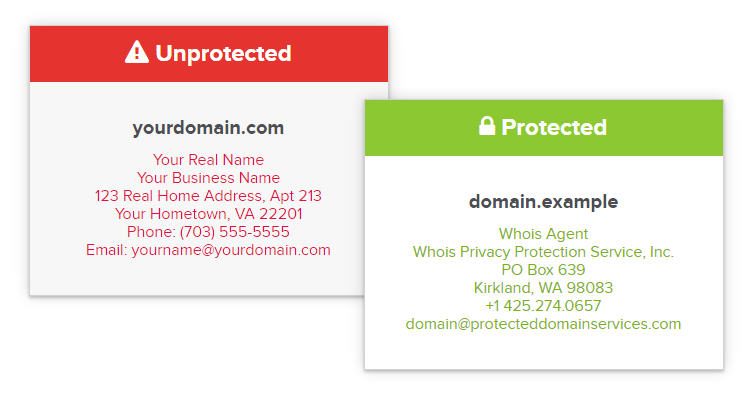 At Name.com, following the steps below, you can get free Whois Privacy to protect your domain and your personal detail. When registering a new domain name at Name.com, remember to remove Whois Privacy. Then, come back to purchase Whois Privacy for your domain using the coupon code below, the price will be at $0.00. The same way for renewal domains! Let finish your renewal process then come back for Whois Privacy later. That’s how you get free Whois Privacy for life at Name.com. There are some other domain providers offer free domain privacy with their domain registration you may concern: Uniregistry, Namesilo (for life), Namecheap (free 1st year)… Click here for more detail. Hope this post helpful for you! I was trying hard to recall this promo code. Thanks!! This is for LIFE?! Thanks!!! is name.com or others asking payment for free privacy protection while you want to transfer domain to others? What is conditions of FREE PROMO CODE? Because normaly they ask payment for privacy protection. No, you will not have to pay for free privacy protection when you want to transfer a domain to others. The free promo code of name.com is just a way this provider support its customers with no condition.